SC 200: Question Everything You Know. On the very first day of Science in Our World: Certainty and Controversy, I knew that I would be learning principles that could be applied to my life, even after I had long completed the class for credit. Andrew made a point to say that anything can be accomplished in his class if enough effort is put forth, and now, sitting here writing this blog with only one full week left of classes, I could not agree with him more. Looking back, we were all in control of the outcome of the class, and although I learned that effort can get a person very far, I also learned two critical pieces of information that perhaps might change the rest of my life forever and alter the way I perceive the world indefinitely: question everything and a person’s intuition is unimaginably lousy. No Matter What, Question it! Nothing in this world is safe from the shackles of failure and falsity, and thus, everything is susceptible to the possibility of inaccuracy; a clear example is how we learned that nothing in science is actually proven and that the prospect of chance playing a role in experiments is always existent. Whether you have evidence to support your claims, or if you simply have the power of anecdotes behind a hypothesis, nothing in this world can be 100 percent proven to be the truth because there is always a possibility for error and for chance to take its role in a situation or experiment. As we learned in the early sessions of the semester, science is a formalized detection system that is exposed to criticism from others; thus, one can argue that the purpose of science is to question the work, no matter how much evidence has been gathered to prove its truth. Nothing is off limits, and scrutiny is always welcomed in the scientific community; everything is meant to be judged in science, and by extension, the rest of the world. 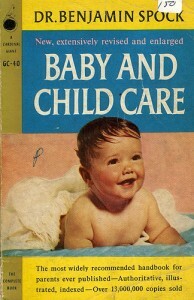 One of the most notable examples of a failure to question was the proposed solution to Sudden Infant Death syndrome that Doctor Benjamin Spock introduced in the mid 1900’s; in 1946, he published a book called Baby and Child Care: The Common Sense Book of Baby and Childcare that refuted the old myth that babies should not be touched or loved as often to protect them; Instead, he replaced it with the myth that babies should be put to sleep on their stomachs to prevent them from choking on their vomit if such should occur. Of course, since he was a doctor and nobody thought to question him, tens of thousands of babies around the globe were killed, which only further magnifies that when people fail to question, situations turn awry. Perhaps an even scarier example is when we learned about how ancient people used to believe that blood letting, which was the practice of making people bleed to alleviate sickness, was an actual form of acceptable medicine; back then, doctors had no alternative or solution, and so they, too, agreed to this practice. Little did they that this actual made conditions worse, and, eventually, George Washington died from a sore throat because of it. Fear not, however, because we also learned of the heroic actions of a woman named Frances Oldham Kelsey who questioned a drug called Thalidomide and saved hundreds of thousands of lives. Instead of believing what other doctors claimed to be truth, she demanded FDA approval and refused to believe testimonials. Fortunately for America, she refused this drug because, in other countries around the globe, babies were being born without limbs and other deformities that ruined their appearances. Lets face it: our intuition is just crappy! Every time we believe something to be truth without questioning it at all, we get let down; above are just simple examples of our world’s history when we fail to question. Thus, it is clear that our intuition is a failed response to a problem, so, although we can find faults in other peoples claims, it is nearly impossible to find them in our own. Nothing escapes the clutches of chance. Nothing in science it proven. Confounding variables might effect an experiment. Science is a process of correction. Would I take the class again? Absolutely. What would I possibly change about the course itself? I would probably make the exams a little bit less critical analysis and more factual based; as they are now, it is very easy to fail because many people cannot think critically. Perhaps there could be two types of exams administered in class: one based on critical thinking and the other based on facts and memorization (much how normal exams are). Thus, the critical exams could be open notes, but the fact-based exams could be administered how normal exams are without any open notes and in-class. This would make the class more balanced, and thus, less extra credit could be offered. In general, SC 200 taught me valuable life skills that I would not have learned otherwise, so I am very grateful to have taken it! This entry was posted in Uncategorized on December 4, 2016 by Jeremy Perdomo. Thanks for the post. I am super pleased you’ve taken on board some key messages. I enjoyed your request for two types of exam. I’ve often wondered about doing total recall exams. But the only point would be to put students back in their comfort zones — and I’m not interested in that. Moreover, recall for a final lasts (if you are lucky) as long as the final. I don’t remember anything I learned to regurgitate when I was at College — and that doesn’t matter, I just look it up on Wikipedia. But the way of thinking — that’s what matters.